Significantly improve CT accuracy and phase shift with the Magnelab RGS-0750 Revenue Grade AC Current Sensor System. The RGS-0750 eliminates phase angle errors, while maintaining a small dimension CT. The main benefit of this method is that it also allows the CT to be opened and closed without disturbing the accuracy class of the CT, making it easy to install in existing circuits without the need to shut down the line. 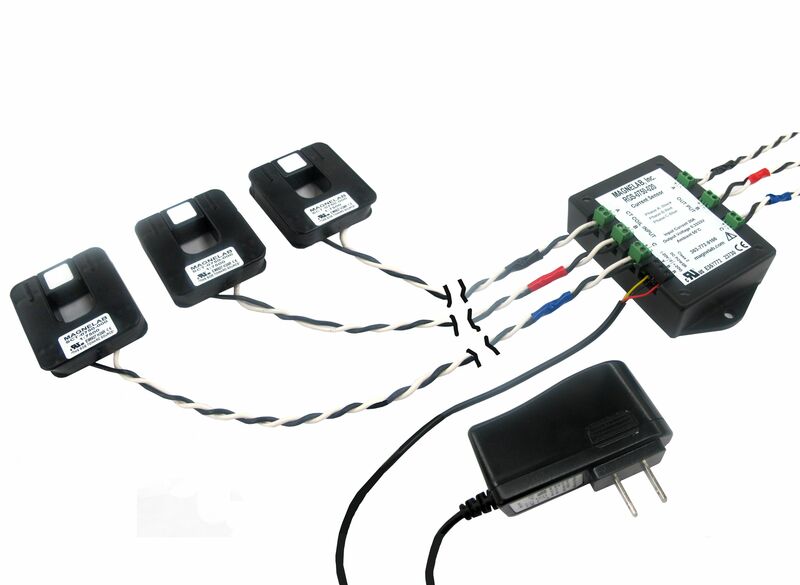 This AC Current Sensor System with three CT’s and an integrator (optional power supply shown in photo) contains an active pass-through circuit that improves the +/- 1% accuracy class of a standard Magnelab SCT-0750 to within +/- 0.2% accuracy class. This system can be used for standard Magnelab current transformers with 0.75″ openings and rated inputs from 5 amps up to 150 amps. The Magnelab RGS-0750 uses patented technology to deliver an accuracy class of 0.3 for the C57.13 standard or 0.2 for the IEC 61869-2 standard. The industry standard 0.3333 volt AC output, at the rated current, is most commonly available. Other output ratings may be available upon request. It comes with a 10-year standard warranty. 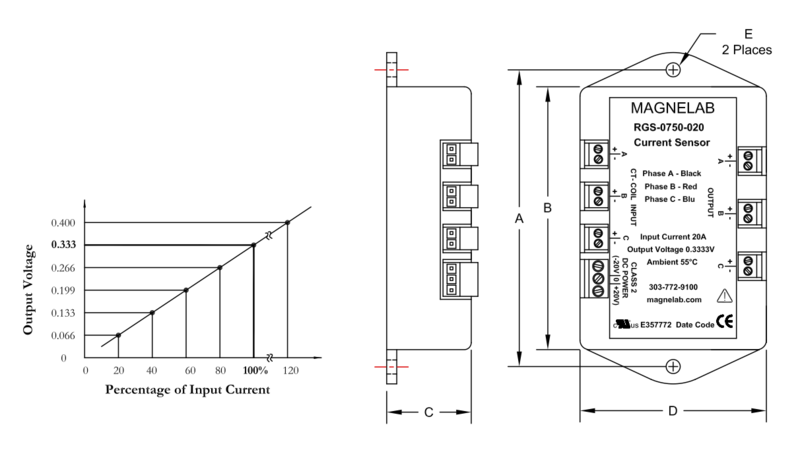 The revenue grade circuitry requires a DC power supply that produces +20/0/-20 Vdc (volts DC), with current requirements per the chart below. You may purchase a power supply from Magnelab for each unit as an optional extra.